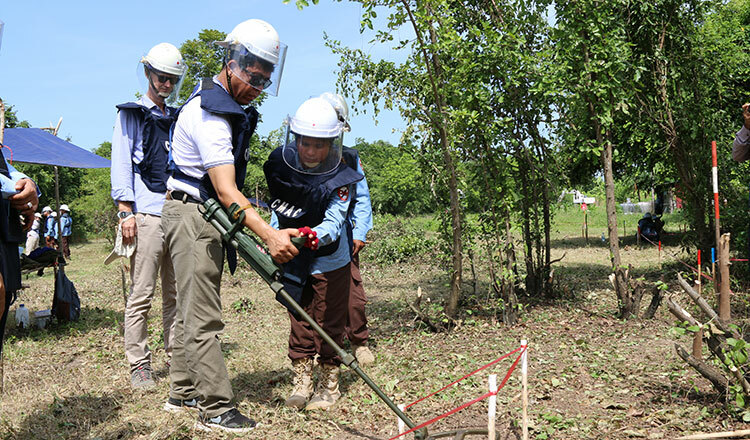 Foreign Minister Prak Sokhonn yesterday requested the Belgian government to continue supporting the demining sector in Cambodia. Ministry spokesman Ket Sophann said Mr Sokhonn made the request during a meeting with Philippe Courard, Belgium’s regional Wallonia-Brussels Federation parliament’s president at the ministry. He said Mr Sokhonn also requested Belgium to further develop ties through the ministry’s Diplomat Institution under the La Francophonie network, a group of 56 French-speaking countries whose aim is to preserve French language, culture and education. Mr Sokhonn noted that Belgium and Cambodia were in final talks towards signing a MoU to create a mechanism for political dialogue in a bid to boost cooperation between both countries. Mr Sophann said the minister thanked the Belgian government for its previous support in several sectors, including education, health and demining. 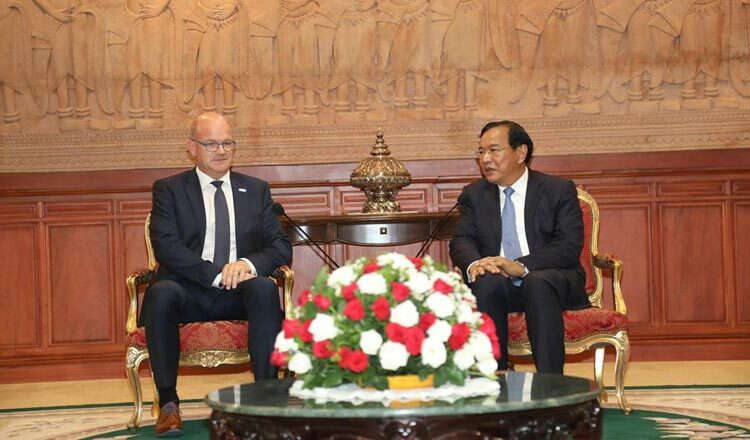 He said Mr Courard responded by promising that he will convey Cambodia’s requests for continued support for the demining sector and further developing ties through the Francophonie network to the Belgian government. Mr Courard noted that the parliament of the Wallonia-Brussels Federation and Cambodian national assembly have met several times in the past during Francophonie meetings and both parliaments in 2017 signed an MoU on cooperation. Mr Sophann said that during yesterday’s meeting Mr Sokhonn also highlighted the biased and negative reporting on Cambodia by overseas media following the national election and invited Mr Courard to see for himself that the Kingdom is now enjoying peace and prosperity. Mr Sokhonn also told Mr Courard that Cambodia is working hard to address concerns raised by EU countries which are reviewing the Everything-but-arms initiative.